Daher, which had a successful 2017, introduced a new smart app for the TBM 910/930. Daher Aerospace (Hall 4, Stand 4470) arrives at this year's Farnborough International Airshow propelled by strong 2017 performance and a gathering tailwind of successes for 2018. They include its first supplier contract with Boeing and the introduction of a new smart app for its turboprop TBM 910/930. The financial results also underscore Daher’s foundational strength. The 57 orders received for TBM turboprops was the second highest in the aircraft’s history. Sales of aerospace equipment and systems were up 4percent, marked by new contracts with North American aircraft and engine manufacturers. Logistics and supply chain activity rose 1.5 percent, highlighted by winning the Airbus logistics management contract for all its production sites in France. The company also completed numerous restructuring projects focusing on automating and digitizing factories and warehouses, including new facilities at Querétaro in Mexico; and Savannah, Georgia, in the U.S. The Daher family also raised its share in the company’s capital from 80 percent to 87.5 percent. BPI France holds the remaining 12.5 percent. The same day the Succeed Together strategy was unveiled, Daher announced winning its first Boeing production contract, for thermoplastic composite structural parts for the 787 Dreamliner. The elementary structural parts will replace existing components made with thermoset composite materials unchanged in more than 30 years, according to Daher. Its production facility at Nantes, France, has received Boeing's approval as a qualified supply source for thermoplastic composite parts, and under the multi-year contract, deliveries, and installation of the parts commence this year. To keep pace with expanding production demands, in February Daher inaugurated a new plant in Tangier, Morocco, its third in the country. Located in the Tangier Free Zone near the airport, the facility will support aerospace programs for Airbus Commercial Aircraft, Airbus Helicopters, Dassault, and other customers. The €15 million site, spanning some 10,000 sq m (108,000 sq ft), will eventually employ more than 250 people; its two existing sites have about 550 employees. In April Airbus bestowed an “Accredited Member” award to Daher, which provides floor covering for airliners to the company, for performance in its Cabin Supply Chain Quality Improvement Programme (SQIP), the highest award under the SQIP honors system. For owners and operators of TBM 910/930 single-engine turboprops, Daher introduced at Germanys Aero Friedrichshafen show this spring a smartphone app, “Me & My TBM,” designed to enhance operating efficiency, optimize maintenance management, and achieve the highest safety standards. 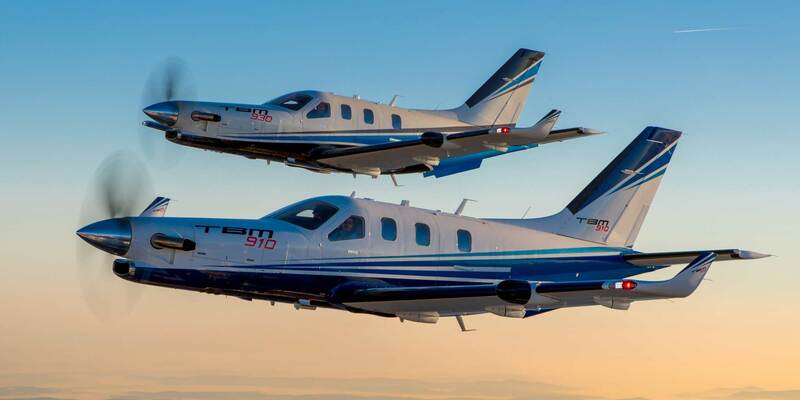 The app uses data automatically collected during every phase of flight, leveraging the Daher parent company’s big data expertise to process and analyze more than four billion data points generated daily by the TBM fleet. Going forward, Succeed Together aims to transform the company through three key goals: continuing its development of complex sets and the use of new materials, high-technology deliverables and services, adding both value and profitability to its offerings; grow its North American sales to represent one-third of revenues by 2022; and become “an industry reference in digital and innovation” through its own efforts in automation and robotization, to testing innovative tools from other industry sectors.